Life of Lou: Turtle Fudge! It has been a quite week around here, which has given me a chance to catchup on life and work! But with the weekend fast approaching I was looking for a little sweet treat. Thus I give you this amazing Turtle Fudge recipe! 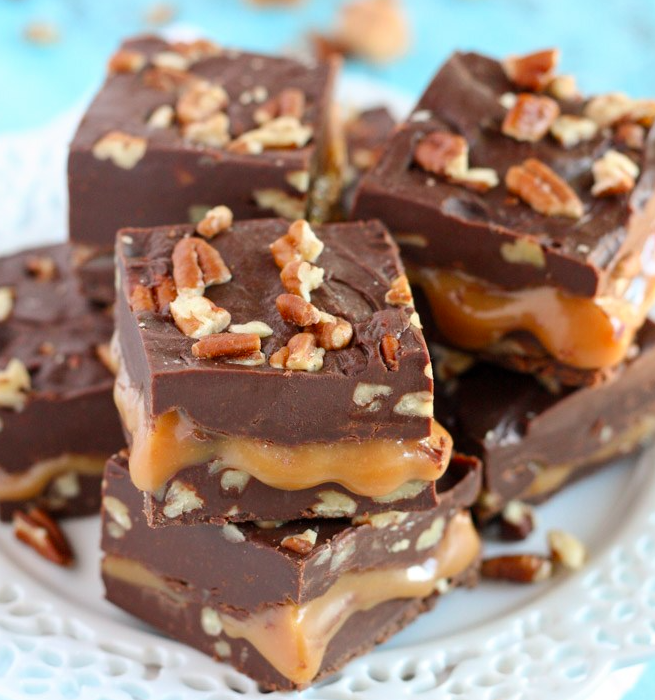 Fudge is not necessarily my forte but I'm working on it and this recipe was simple as. Line an 8x8 baking tray with parchment paper, making sure to leave some overhang for easy removal and set aside.